Bark Is As Good As Its Bite! 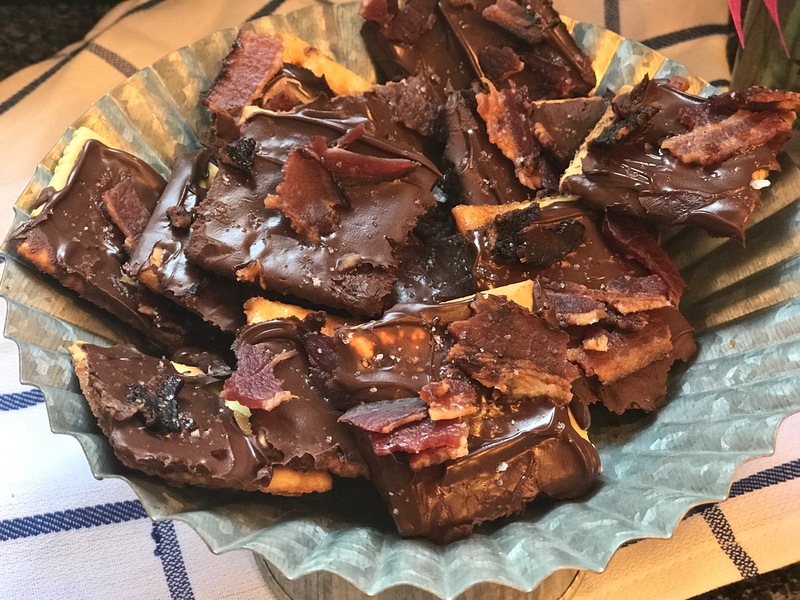 While perusing the Good Housekeeping at the dentist’s office, I saw this recipe from Delish and just had to make it. 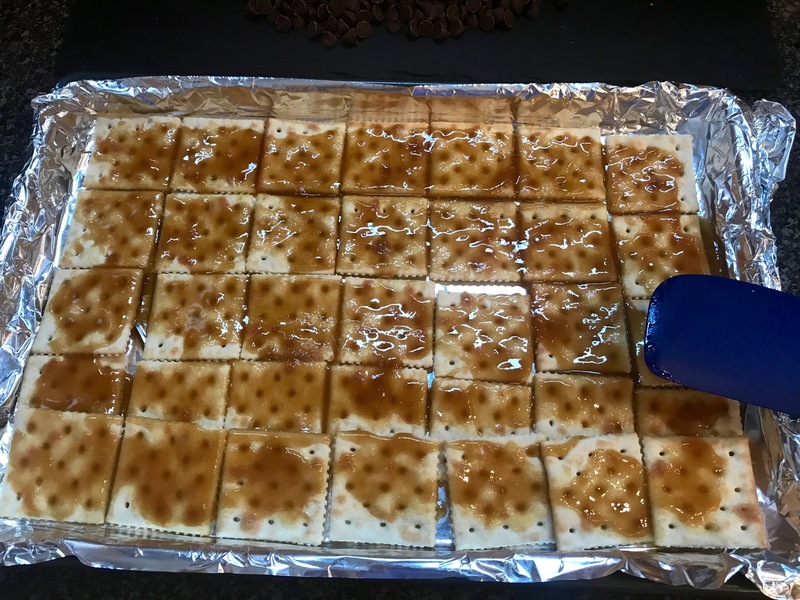 I made it twice because the first time it seemed to me that it needed more of that caramelized sugar layer, and, after increasing the butter and sugar substantially, it was way better. I finished it with a sprinkle of Fleur de Sel. This dish is too good to have around the house on a regular basis. Tom and I each ate a few and then I took the rest and offered them to my coworkers. On our first trip to Arles, France in 1998, we tasted Fleur de Sel and were smitten. The Fleur de Sel we enjoy is salt from the Camargue region in France, which is harvested once the salt “blooms” on the surface of the seawater as it evaporates. 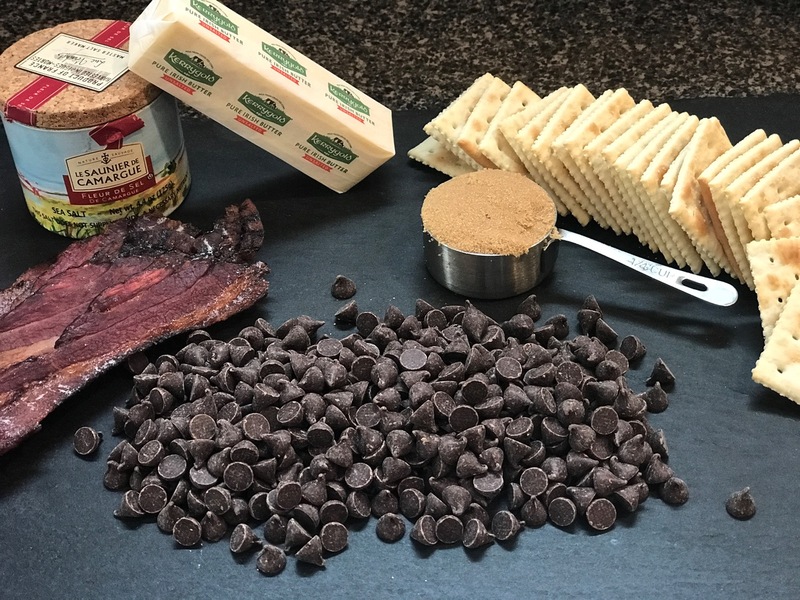 I used only to be able to get it locally at Sur La Table, but as it has grown in popularity, it is available at many places, including Amazon. If you don’t have Fleur de Sel, large flaky sea salt will work. 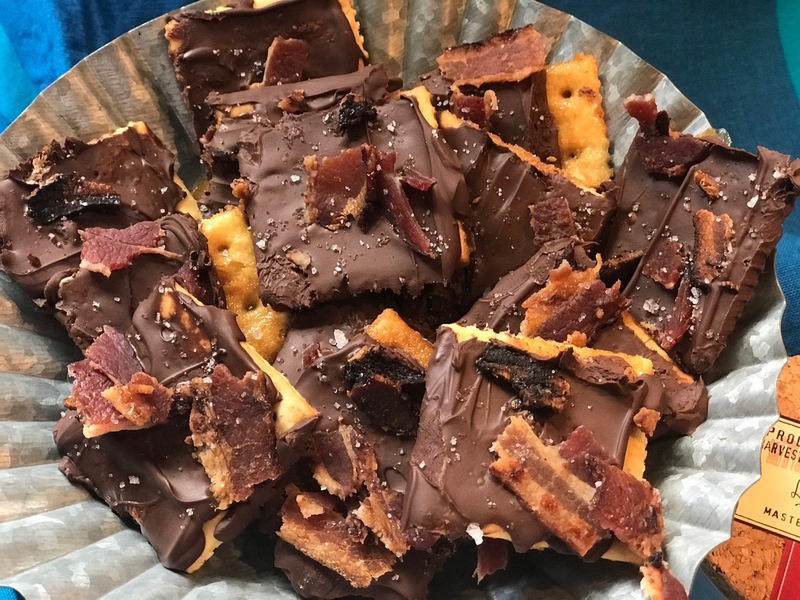 You may have noticed that bacon or pancetta pops up in many of my recipes. 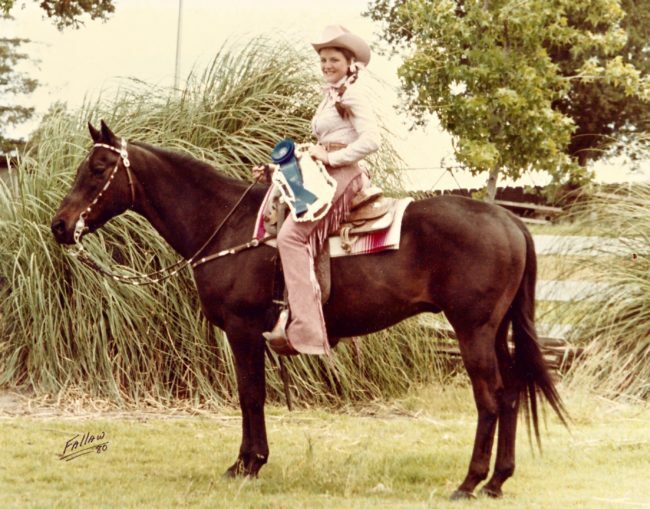 It must go back to my 4-H days (below) when I raised pigs to earn money for my horse, Heck of a Note. 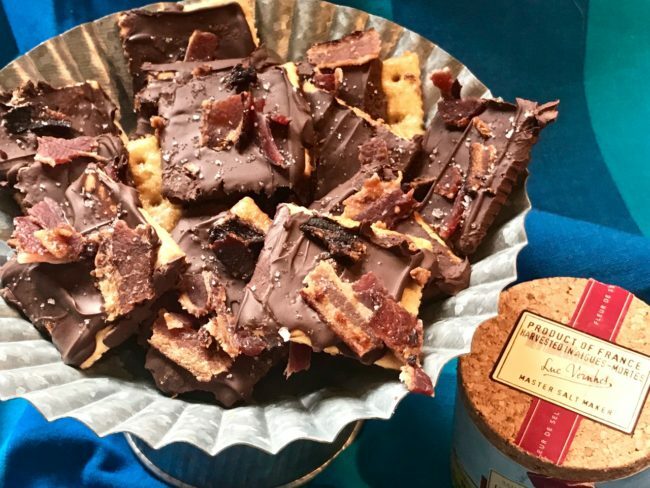 If you don’t like bacon, try some toasted, chopped pecan pieces or broken pretzel pieces or crushed candy canes. Wow, I could go on and on. Preheat oven to 400°F. To make the bacon, line a large rimmed baking sheet with foil and place a wire cooling rack in the pan. Arrange the bacon slices on top and bake for 25-30 minutes until crispy. Set aside to cool and then crumble. Leave the oven on. 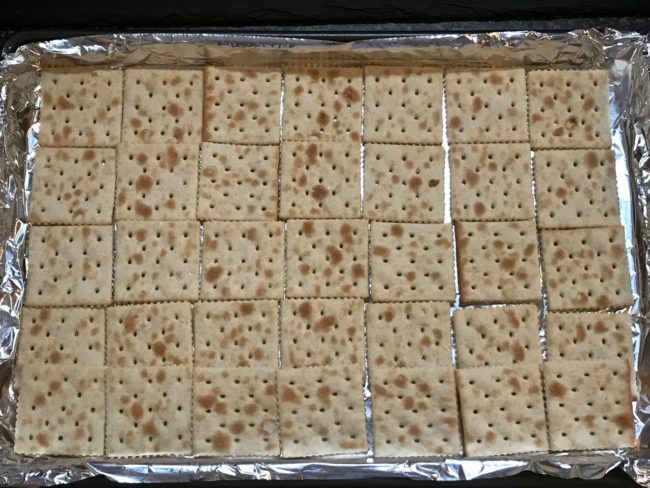 While the bacon is baking, line a rimmed quarter baking sheet (approx. 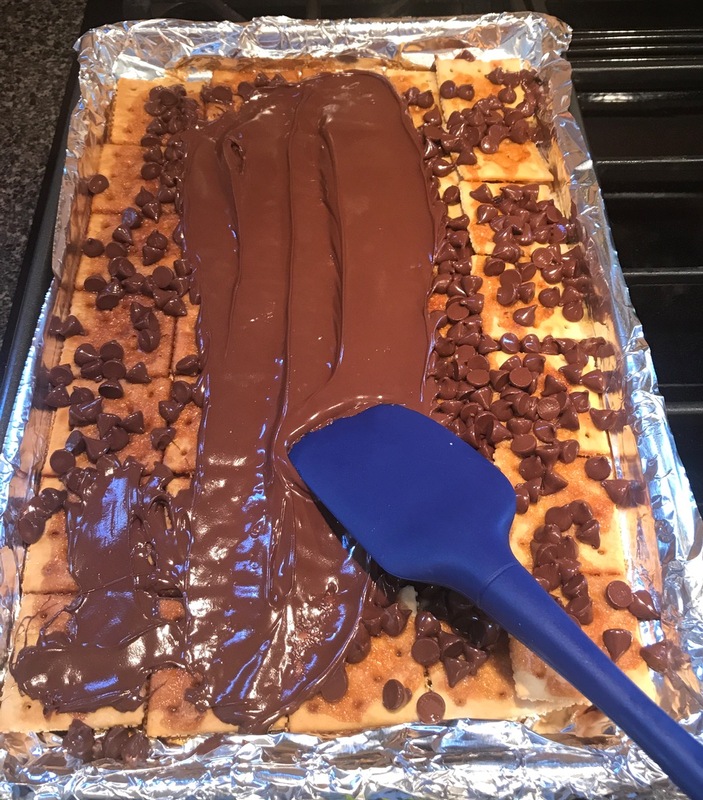 9″ x 13″) with nonstick foil. 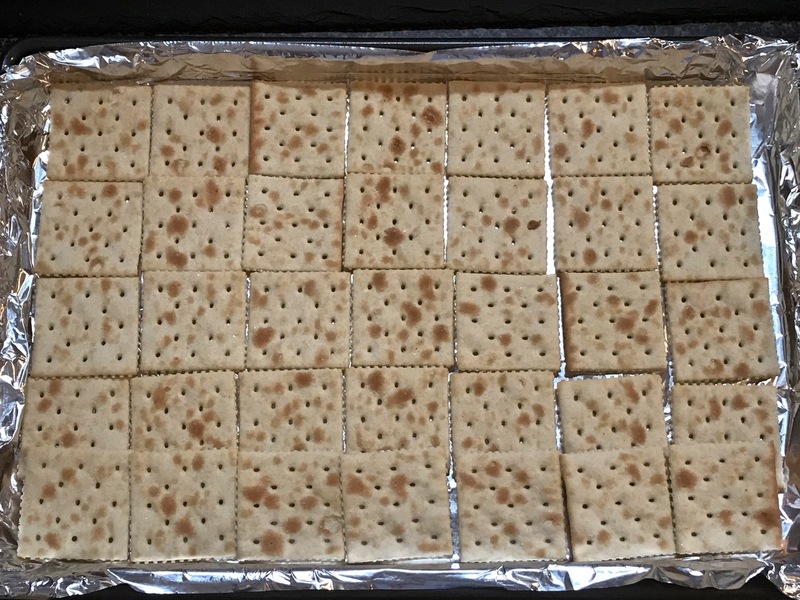 Arrange the crackers in a single layer on top, the last row will overlap slightly. In a saucepan over low heat, melt the butter and sugar stirring until combined and completely melted. Increase the heat to medium and bring to a boil, stirring occasionally. Once it comes to a boil, continue boiling for 3 minutes. Do not stir. Remove from heat and immediately pour the sugar mixture evenly over the crackers, spreading if necessary. Bake until deep golden brown, 6 to 8 minutes. 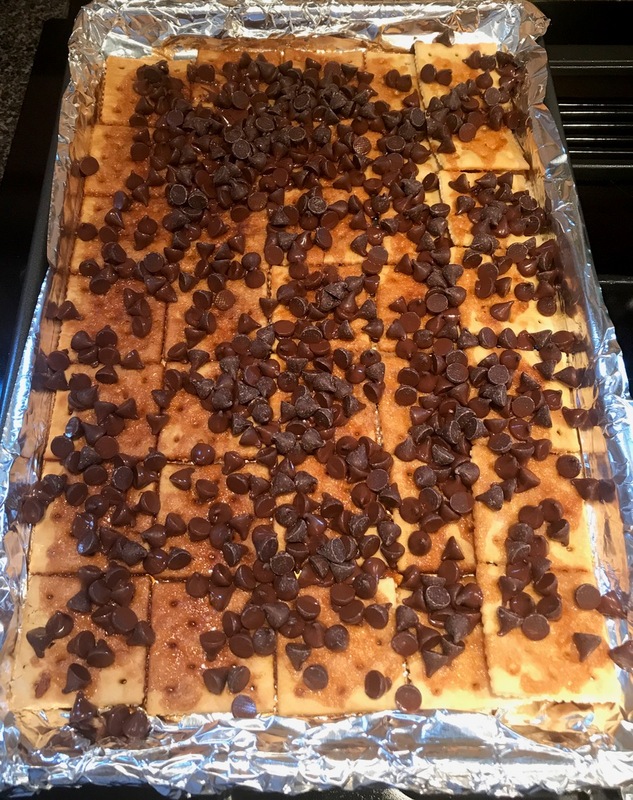 Remove from the oven and immediately sprinkle the chocolate chips in an even layer on top and let sit for 3 minutes to melt, then spread the chocolate with a spatula to completely cover. While still warm, sprinkle the bacon over the top and then sprinkle with a couple of pinches of the Fleur de Sel. 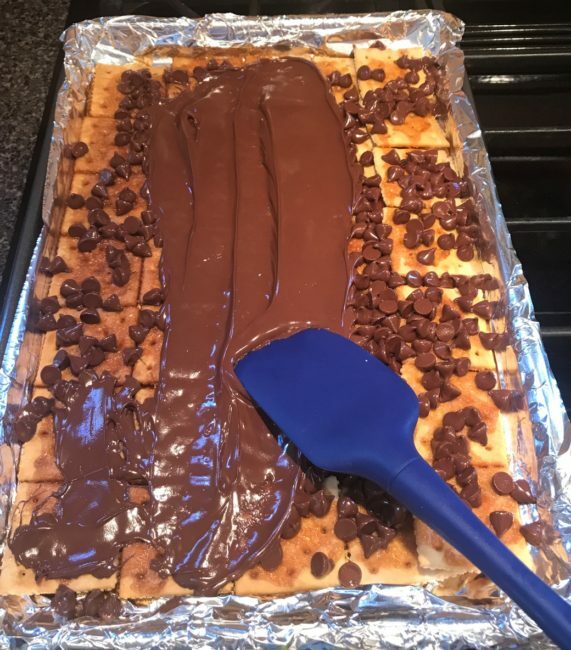 Cool until the chocolate is completely set, about 2-3 hours. Break into pieces to serve/devour.